Starting At $527.59 + Free Shipping! 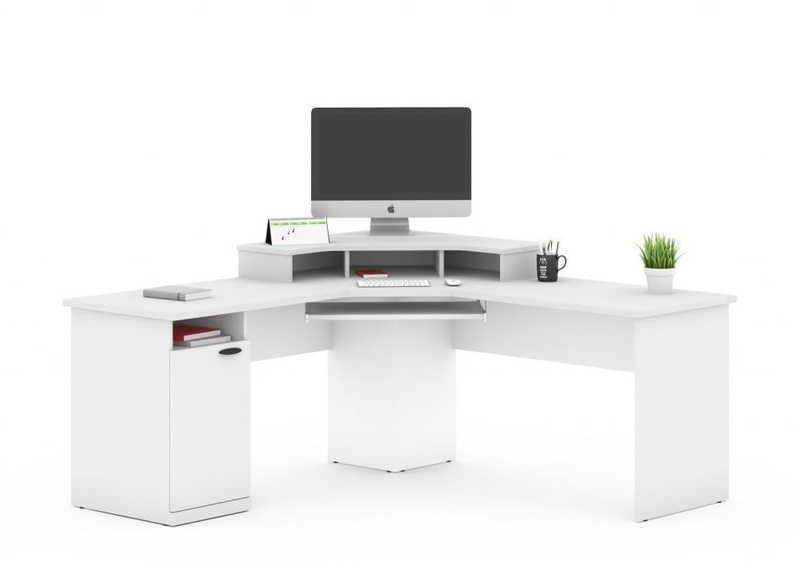 For those who appreciate both function and style, the Bestar Hampton Corner Office Desk is a perfect addition to your office or workspace. 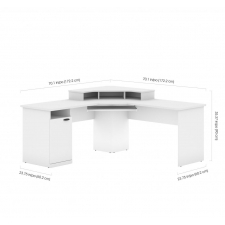 With a computer monitor stand that fits most desktop computers and a keyboard shelf available at your fingertips, you can complete your computer work quickly without clogging up your entire desk area. 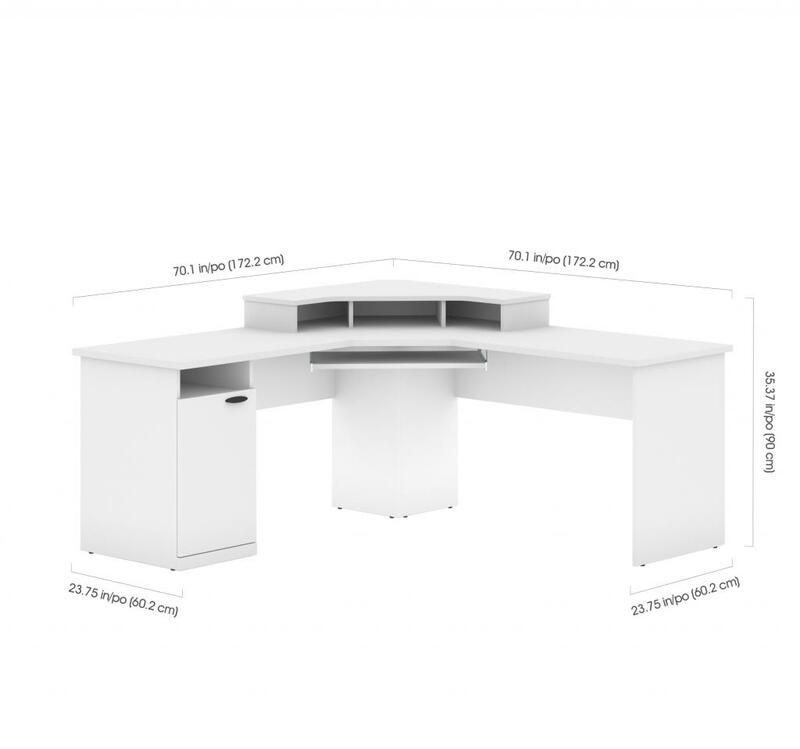 The Bestar Hampton Corner Office Desk's ample work space comes standard with a shock-resistant PVC banding as well as a convenient, easy-to-reach one-door storage feature. One door for closed storage. Center monitor shelf offering enough space for most desktop CPU’s. Keyboard shelf on ball-bearing slides. 1” (25mm) work surface features deluxe 2,5mm shock resistant PVC edge-banding.